These are the diaries of Gerald Achilles Burgoyne, written from the trenches just south of Ypres while he was with the Royal Irish Rifles in the Great War. The author’s daughter, Claudia Davison, was not even born when these diaries were originally written and was only 12-years-old when her father died in 1936 after being bombed by the Italian Air Force while he and his mules were conveying a Red Cross unit in Ethiopia. 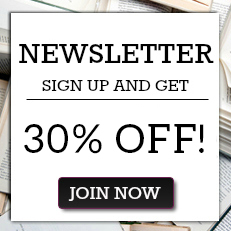 Claudia found the diaries in a trunk full of personal effects when her mother died and, after showing them to a long-standing friend who loved the diaries, she sent them off to be published. 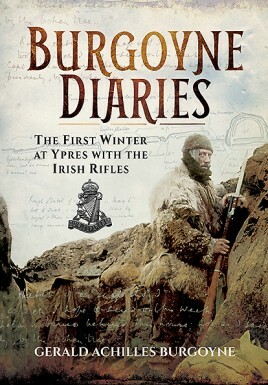 Despite conditions of all-pervading mud, bitter cold and wind, let alone the bursting shells and the ‘sipping’ bullet, Burgoyne dispassionately recorded and drew what he saw. These vivid accounts, written on pages of a notebook, were almost daily sent back to his wife. Each day is a gem of interest, from the very first entry in November 1914 to the last in May 1915. The diaries end as abruptly as they begin. In May 1915 Burgoyne was wounded and sent back to England after a gruesome and abortive attack on the notorious Hill 60. Complete with maps and sketches drawn by Burgoyne at the time, this book is essential reading for all Great War enthusiasts and those wishing to learn more about the key conflicts that occurred in 1914 and 1915.